Now that the planting season is emerging, the hardy perennials are miraculously poking their shoots through the soil ready for another spectacular display throughout the Summer. Despite the winter weather, and let’s face it over the past 2 years we’ve had our fair share to deal with, it is the reliability of such perennials that really adds dimension to the garden in the summer. 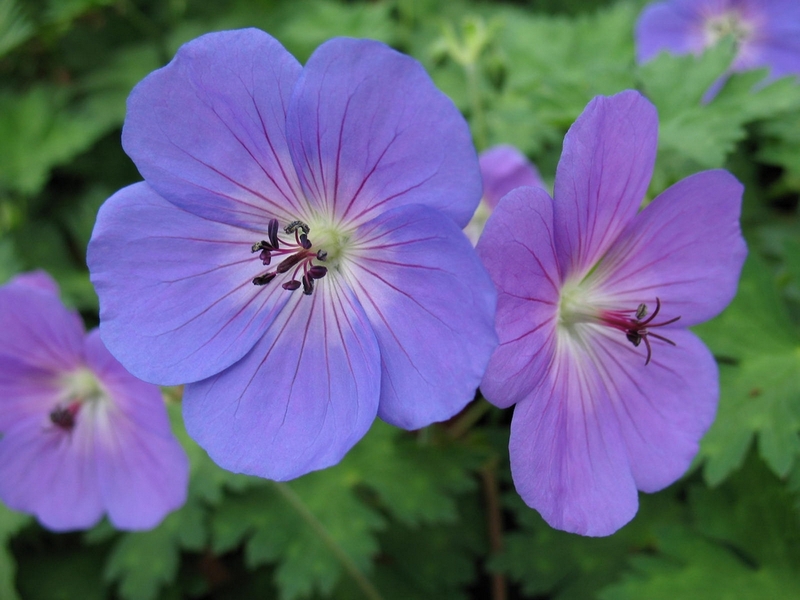 This gorgeous geranium is a spreading form which grows in full sun or partial shade in any well-drained soil. Each lavender-blue, saucer-shaped flower has a white eye with purple veining. It’s fast growing, providing great ground cover, and amazingly produces flowers from late May/early June until mid-Autumn. 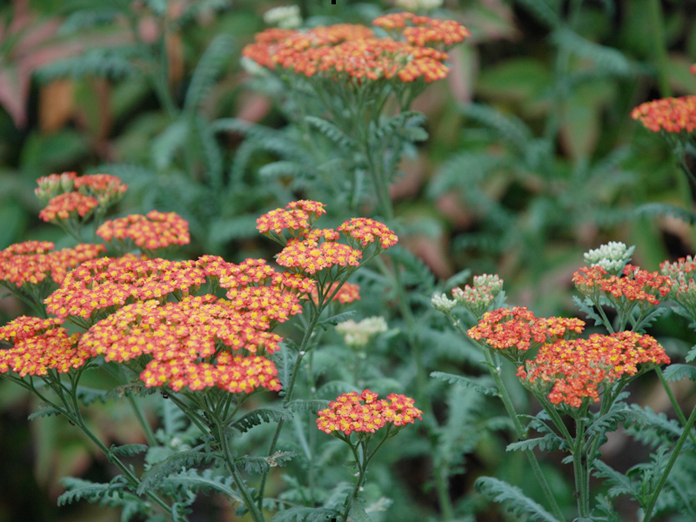 Most varieties of Achillea flower for a long time, fading eventually, but looking fabulous into winter too when the seed heads catch the frost and provide structure in the garden even when the other perennials have died back. Walther Funcke is a rich orange-red which will tolerate semi-shade and flowers from June to September. 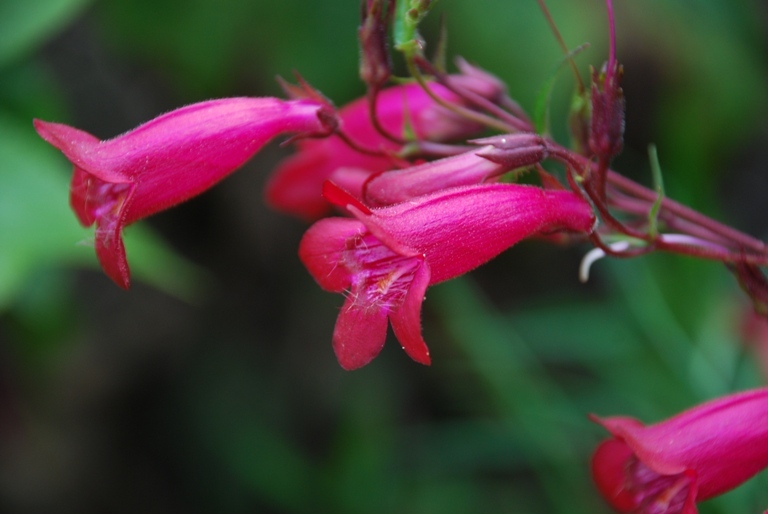 ‘Garnet’ is an amazing penstemon variety, flowering from early summer to mid-autumn. It’s semi-evergreen and will tolerate some shade (I have it planted in a north facing border which is in shade from lunchtime onwards) so a great performer that is worthy of it’s place! Asters are late flowering perennials that are associated with the end of the summer. This is without doubt the finest Aster with it’s lavender blue blooms which appear from July to October. It prefers sun and looks better amongst other plants as the bottom of the plant can become a bit scruffy. Although rather short-lived (although sometimes self-seeds so all is not lost! 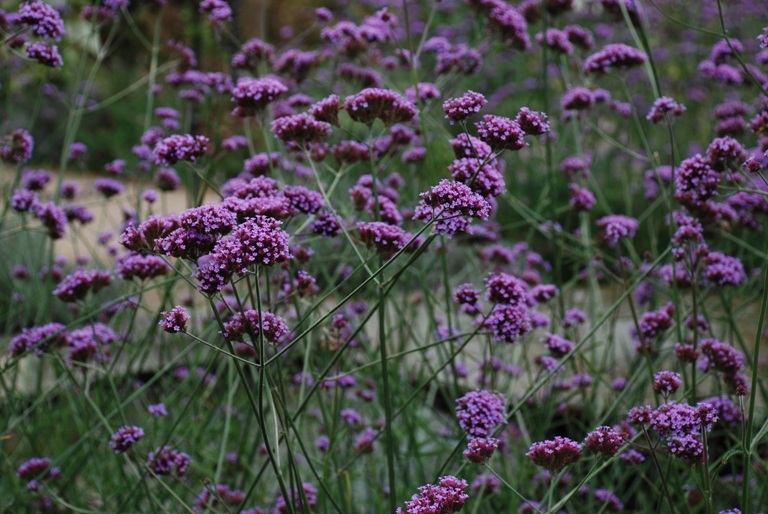 ), this is one of the best perennials for intermingling with other plants. It’s really tall so is better towards the back of a border or looks fabulous en mass with grasses where it’s movement can be appreciated. The bees and butterflies love it too!